Citing restaurant industry 25 percent bigger than the Bollywood and Telecom industry, Amlani also pointed Government polices as the big gorilla in the room. In the two days Restaurant congress organised by Franchise India, some of the key topics which was discussed by the industry people and the speakers were Open spaces restaurants, Food Trucks, Tourist Hubs. Not only this, an NRAI delegation led by President Riyaaz Amlani met senior Delhi officials the same day, i.e 26th August to discuss a range of ‘practical’ issues which is actually blocking the industry’s growth. “It was a very fruitful meeting. The government is committed to getting things done for Delhi’s benefit,” said Amlani. According to the release by NRAI, the AAP government may approach Delhi’s civic bodies, including NDMC, asking them to allow restaurants to serve food in open spaces. Tourism minister Kapil Mishra has requested deputy CM Manish Sisodia to take up matter with municipal corporations. Mishra met with the NRAI earlier in August to discuss initiatives like new tourism hubs. He was also receptive to NRAI’s proposal for guidelines on the use of open spaces in the light of the ongoing sealing of terraces & open spaces attached to Delhi restaurants. “We met the minister to request him to resolve this issue. All across the world where there are tourist hubs, open air restaurants and terrace seating is extremely popular. Delhi needs to have a policy to allow this here as well,” added Amlani. Last month, NDMC had banned serving of food at rooftops and terraces of restaurants in Connaught Place. Sources said the action was taken because there was no policy to guide usage of open spaces. NDMC had disallowed the practice for various reasons, including encroachment, illegal construction and improper fire safety practices. The council has, however, also said it will be willing to consider cases where fire and excise departments have given permissions. In his letter to Sisodia, Mishra said restaurant owners were being given permission from excise and fire departments to serve in open spaces but the corporations and NDMC were not allowing them to do so. “There is a need to review licence conditions and permit food service in such areas. These areas should include open spaces, terraces and gardens available to restaurants. It is pertinent to mention that the organized industry, which is compliant with hygiene and safety requirements, is being denied this permission,” he said. Mishra said that by not allowing food service in open areas, not only were the restaurant owners facing losses, but also the government was losing out on VAT and excise revenue. 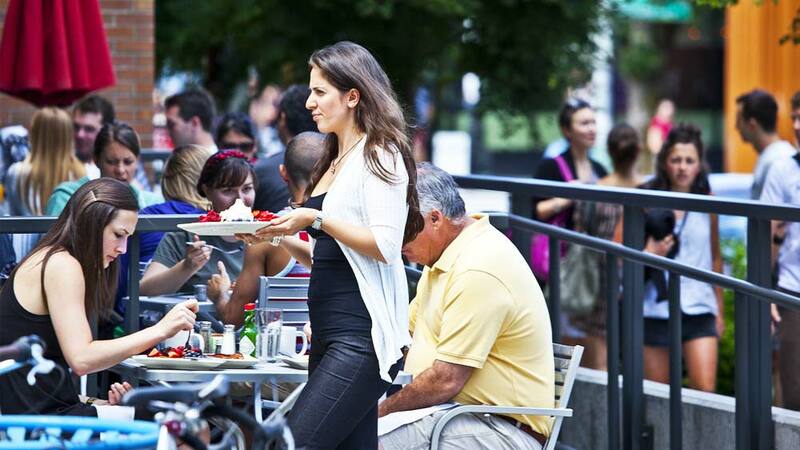 “Internationally, open-air cafes add considerably to the charm of the cities. There is no reason why Delhi should not enjoy such a privilege,” stated Mishra in his letter.